Movie: "Underworld: Rise of the Lycans"
A look back at how the war between vampires and lycans started. "Underworld: Rise of the Lycans" is the third film in the Underworld franchise and is a prequel to the original "Underworld" film. For this installment, Patrick Tatopoulos takes over the directorial duties from Len Wiseman, who had directed the first two movies. This film actually shows us a story that was previously referred to in the original, the story of how Lucian, again played by Michael Sheen, rose out of slavery to become the leader of a lycan army. It also tells of how a forbidden love between himself and Viktor's daughter Sonja, played by Rhona Mitra, led to an all-out war between the two races of mythical creatures. This installment really helps flush out the character of Lucian a bit more, and we're glad to have more of his backstory because he is one of the most compelling characters in the original "Underworld" movie. This is a character who was a villain-turned-antihero and has now become a straight-up noble savior and a full-fledged hero in "Rise of the Lycans." The story continues to build on Viktor's villainy, and now on display are the preconceived prejudices and the constant mistreatment of the lycans by vampires. Much like the previous films, everything is dark and washed in blue to create a cooler, damper feel, which we have a hunch runs through every installment in the series. Does this need to be a thing? Not really, but if it helps tell this story, so be it. The costumes are still all very cool looking and full of tight leather, long capes, luscious hairpieces, and badass stylized action. One could still argue that the series remains more style over substance, but at least this time around, the characters are interesting and their is a conflict we can understand and get behind as viewers. 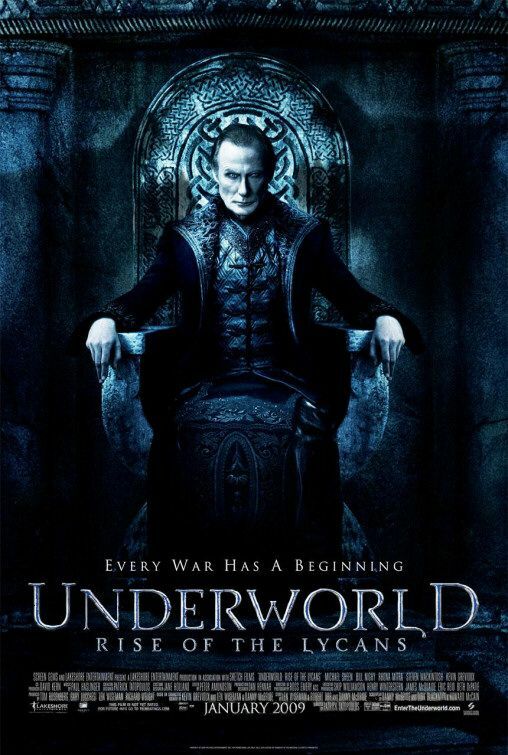 Though the argument could be made that "Underworld: Rise of the Lycans" is a prequel that never needed to exist, we think, at the most, it might be one of if not the most engaging film in the "Underworld" series, but at the very least, it marks a vast improvement over the second installment in this franchise.